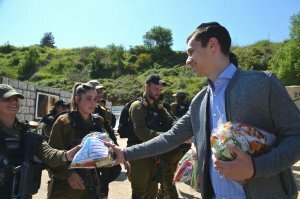 This year, with the help of countless shuls and individual contributors, IYIM continued their tradition of delivering mishloach manot packages to the thousands of young men and women who are defending the Land of Israel. 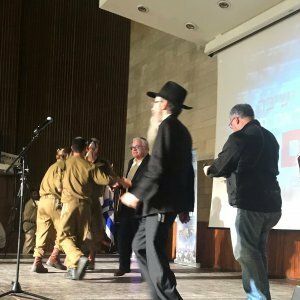 Over 8000 packages were distributed to the grateful young soldiers. It was a truly uplifting experience to be a part of, and even included an Avraham Fried concert for chayalim as well! 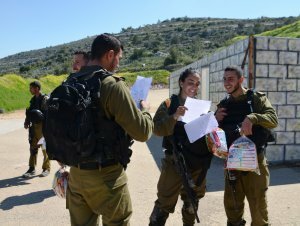 A huge thank you goes out to everyone who sent Mishloach Manot to the IDF through IYIM and all of our partners who without them, this would be impossible. Looking forward to next year and breaking our record of mishloach manot delivered!